The Las Vegas Sun ran a story yesterday (link here) regarding the efforts of the City of Las Vegas to enter into a partnership with a local company, Dot Vegas Inc. (“Dot Vegas”), over the creation of a new top-level-domain (“TLD”) — .VEGAS (a new domain name address suffix that could be used instead of the more common TLDs of .COM, .ORG, or .NET). Dot Vegas is proposing that the City of Las Vegas get 75 cents per registration or 10 percent of the gross revenues from future registrations. But another player in the picture is The Greenspun Corporation which owns VEGAS.COM (along with numerous Section 2(f)-based trademark registrations for the domain name as mark) and which has also been evaluating the business prospects behind a .VEGAS TLD ever since ICAAN announced in 2008 that it would allow the creation of custom TLDs. The CEO of Vegas.com reportedly was prepared to enter into a partnership for $1 per registration. Further complicating the matter is the “Vegas” governmental municipality with the authority to be involved in (and receive the benefits of) the .VEGAS TLD. 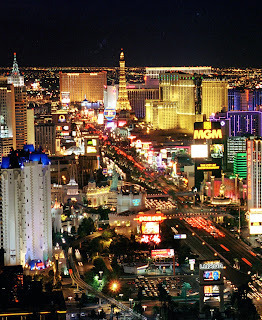 After all, while most local Las Vegas residents recognize and understand the distinction between the incorporated City of Las Vegas and the unincorporated area of Clark County, Nevada, most outsiders may not realize that most of what the public identifies as Las Vegas, including “The Strip” (the area most often associated by the public with “Las Vegas”) is technically in the unincorporated area of Clark County and not within the City of Las Vegas. This has certain Clark County officials raising questions about whether the City of Las Vegas should be the only “governmental municipality” in “Vegas” benefiting from registrations of .VEGAS domain names. For now, while the possible partnerships and conflicts over the creation of a .VEGAS TLD make for interesting news articles (and blog posts), such talk is somewhat premature (to paraphrase the MarkMonitor.com representative quoted in the Sun article) given that ICANN has yet to issue final rules regarding applications for such customized top-level domain names. Information and announcements on ICANN’s gTLD program can be found here. I noted with surprise that Dot Vegas, Inc. proposes to give the City of Las Vegas 75 cents for each registered name, or 10 percent of the revenue generated by domain registrations, whichever is greater. If this deal goes through, Dot Vegas, Inc. will have made the deal of the century – at the expense of the City and citizens of Las Vegas. Another group has offered to pay the city $1.50 per name - twice as good but still only a fraction of the customary amount! As someone who has had long experience with domain name registries and is well aware of customary revenue sharing agreements, the proposed arrangement is heavily skewed in favor of the contractor and would leave the City of Las Vegas with approximately one-fifth of the revenues they could expect in a competitive marketplace. In the market today, the revenue share to responsible, world-class registry providers ranges from approximately 50% to the contractor (.com, .org), to the 20% charged by Minds + Machines (my company). Without a doubt, the best way to protect the interests of the City of Las Vegas is to conduct an open, transparent Request For Proposals, as New York City and Paris have done. On January 12, 2010, I sent a letter to Mayor Oscar Goodman, copied to David Riggleman, the CIO/Director of Information Technologies, informing him that several cities including New York had commenced the RFP process. In the letter, I informed them of the substantial revenue potential for the City of Las Vegas and provided information on how to set up a competitive RFP for the .vegas top-level domain. Neither Dot Vegas Inc. nor their competitor, Mr. Greenspun, are offering the city anything close to the revenue share it could get in an open competition. The majority of registry services providers, including our company, would give the city substantially more for the right to work with them as their registry. For example, our registry services company remit to the city 80 percent of revenues instead of the 10 per cent Dot Vegas, Inc. proposes. A city top-level domain is a valuable asset that should rightfully benefit the city and its citizens. A registry service provider needs to charge a fee, but the amount of that fee is best determined by open competition.